“Well, at least if the films are bad we can look at the view” mutters a middle-aged Maltese woman as she takes her seat at the 8th Kinemastik International Short Film Festival. The seating area is positioned on the edge of a high cliff overlooking the Mediterranean Sea. As the sun sets over the harbour, the churches and forts of Valetta are soaked in a warm pink glow. Little lights come on in the city, and tiny explosions of fireworks from a distant religious feast glitter on the horizon. It’s spectacular. In fact, once the films begin the view is largely ignored. It’s lively and well programmed, combining poetic documentary with glossy drama, quirky comedy and some lo-fi local treasures. Kinemastik doesn’t bother with the lengthy introductions or self-congratulatory speeches which are normally par for the course at film festivals. Their priorities are film, music, booze and views. Run by a slightly chaotic crew of laid back, good looking locals and ex-pats, it’s a festival driven by love, commitment and a desire to create something simply because it does not already exist here, and they want to go to it. The first Kinemastik event I attended was a retrospective of veteran music video director W.I.Z, including a screening of his excellent 1992 film Weekender and accompanied with a really nice, intimate Q&A. The venue, Valetta’s British Legion, had the vibe of a Victorian circus tent and the temperature of an oven. At the end of the show Slavko, the energetic Serbian festival director, reminded the sweating audience to be back the following day for the next event and promised a better air con solution. I was given a lift back to my hotel with some festival volunteers, one of whom expressed disbelief that the venue could be effectively cooled down. “Slavko will think of something” said another, “he always does”. Sure enough, when I arrived at the venue for the following night’s screening of Jiří Menzel‘s Closely Observed Trains I discovered the entire operation had been moved to a staircase on the street. We watched the Czech masterpiece in the cool evening as curious old women looked on from their balconies. Kinemastik’s edgy programming is more what you’d expect from a Dalston hipster bar than a quiet Catholic Island, with turns from art collectives Le Gun and Bare Bones as well as performances by Dark Horses and Capitol K. Alongside this though is a strong strand of work catering for local young people. A beautifully curated children’s festival complements the main festival and the week includes practical workshops and training events. 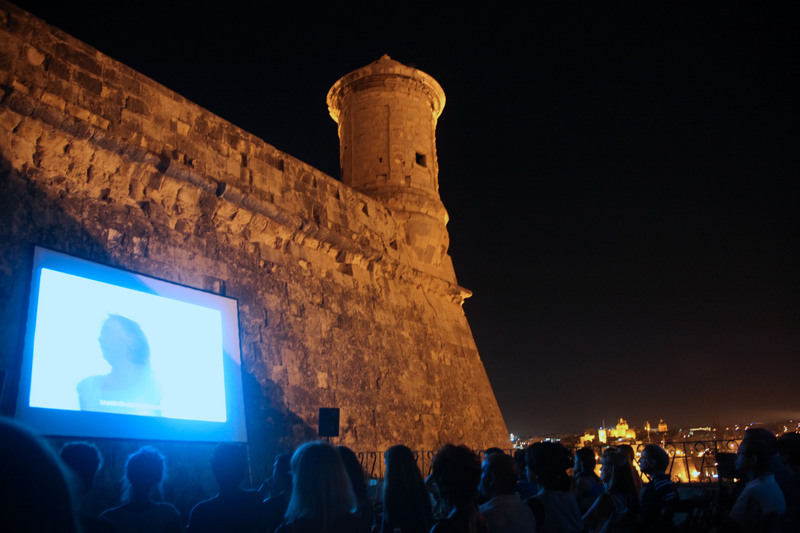 Combining beautiful, well-planned locations, programming and production design with a genuinely spontaneous character that is hugely seductive, this festival has a totally unique identity. 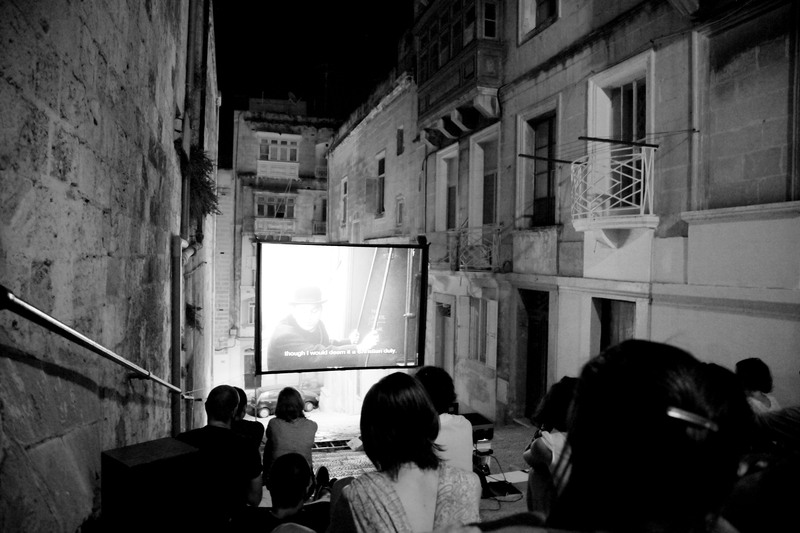 Good food, cheap drink, great weather and fantastic films – if you can make it Malta you won’t regret it. – An island situated between Sicily, Tunisia and Libya, Malta has been a in mover and shaker in military and religious history. Celebrities spotted on the Island include St Paul, Napoleon and the notorious Knights of Malta. – Though a bi-lingual country with a huge English Speaking population, the national language is Maltese. This uses a latin alphabet but integrates loads of Arabic, making for a crazy sound and some awesomely cathartic swearwords. – Until last year, Malta was filled with beautiful hand painted buses. Last year the transport system was overhauled. Now everyone rides around in London reject Arriva buses. I spotted one claiming to be headed towards ‘Angel, Islington’ down by the harbour. there was a nice short in the festival about the bus changeup. 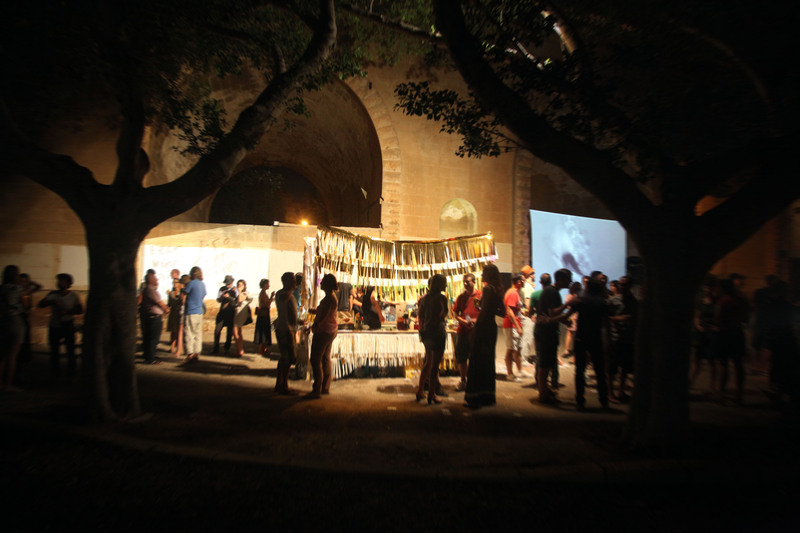 Kinemastik programmes year-round screenings, talks, exhibitions and concerts in Malta, culminating with the Kinemastik International Short Film Festival in August. You can find out more on their website. Having read this I believed it was rather enlightening. I appreciate you spending some time and energy to put this short article together. I once again find myself personally spending a lot of time both reading and posting comments. But so what, it was still worthwhile!